I don't know, I used to think I loved living in the city. 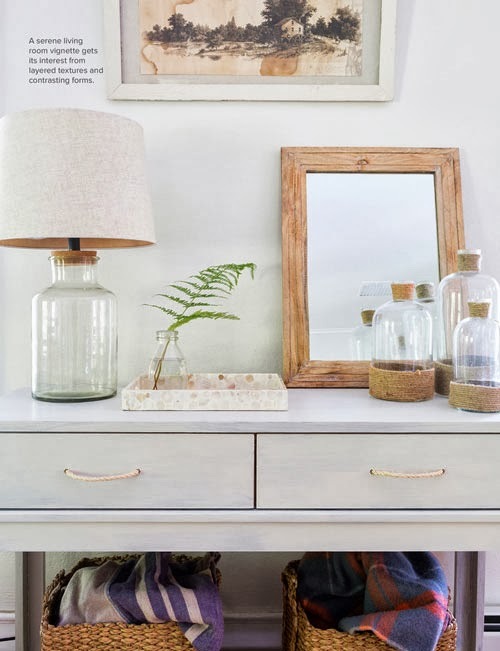 But recently I've been really drawn to interiors that can best be described as Country Chic or Rustic Luxe. Hmm? 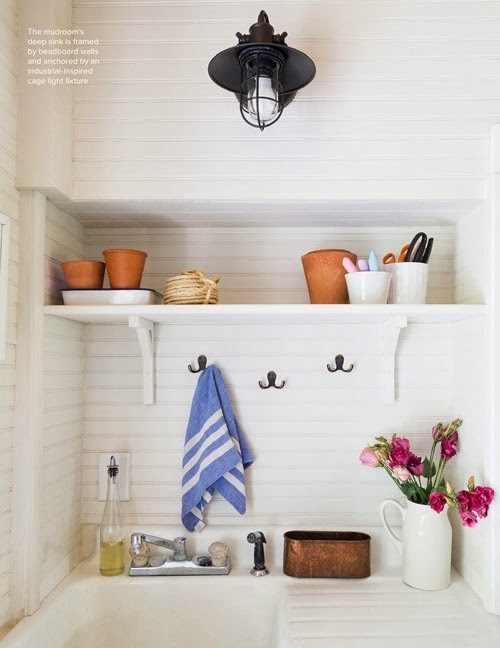 Take the recent issue of Lonny, for example, while I liked some other features I was practically drooling over the feature on a farmhouse transformation in upstate New York. 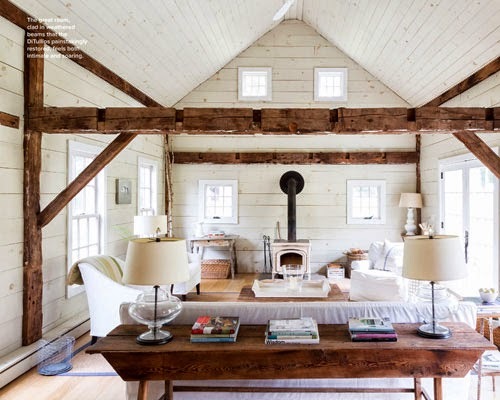 Layers of materials in varying shades of neutrals complemented by raw wood tones create an airy, almost minimalistic, feel to this 19th century structure. 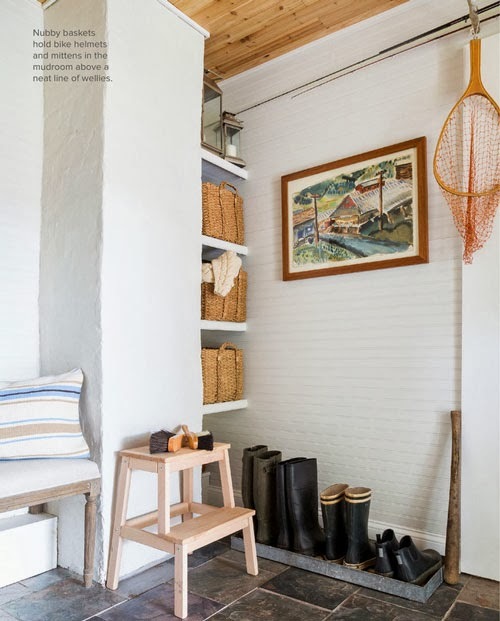 Such a cute use of a hallway... love the vintage camp cot turned reading nook. This is where I wash up after weeding my vegetable garden, right? It wouldn't be quite large enough for my flower arranging though. 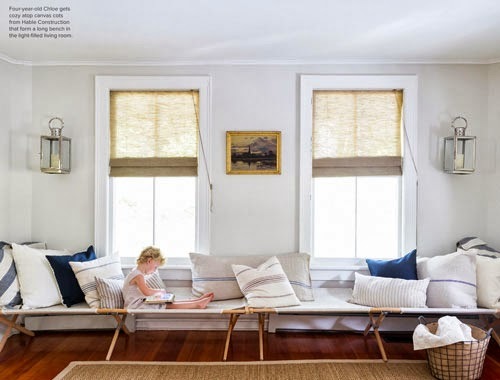 For the full article and many more gorgeous images, check out the October 2013 issue of Lonny Magazine. Such interesting lighting choices! 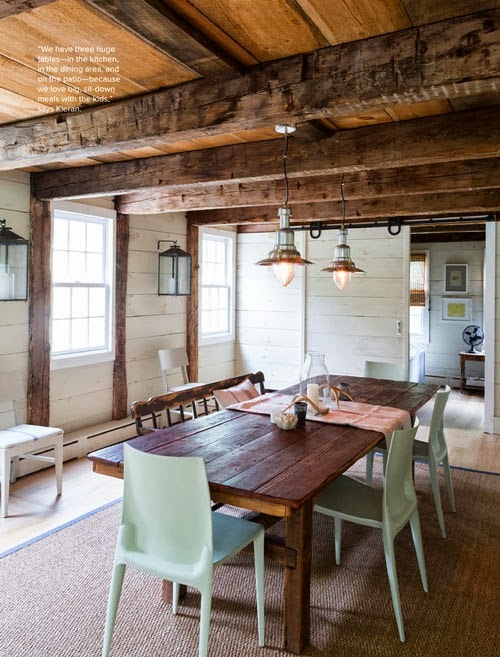 And heaven help me, I love that dining table. What a beautiful space!